Boulder enjoys a thriving economy that is founded on a leading startup culture. Driving this point home was a recent article in Inc. Magazine crowning our community as America’s Startup Capital based on a Kaufmann Foundation study that found Boulder to have the highest concentration of startup businesses for a community of its size. This startup energy is fueling an innovation economy that finances a good portion of the infrastructure and programs that make Boulder such a special place to live, play, and work. As with much of what we love about Boulder, our successes create their own challenges. While occupancy rates are generally very low in Boulder’s commercial zones, the central hub of the community’s current entrepreneurial fire, the Pearl Street area, is packed to capacity. There is great pressure for budding entrepreneurs and developing businesses to settle in this urban core where they can enjoy the benefits of “creative collisions” with other folks who are pursuing their own entrepreneurial dreams and to spark further creativity. Unfortunately, the line, “I can’t find a place on Pearl Street,” has become the mantra of far too many enterprising business leaders who associate Pearl Street with the boundaries of our unique economy. The message is that if you aren’t on Pearl Street, then you might as well be in Denver or some other startup rich environment. Other areas of Boulder, more typical of generic industrial zones across anywhere America, don’t carry the same vibrancy and cache as Pearl Street. This focus on a single commercial zone with limited capacity is the recipe for atrophy, creating the opportunity for other communities to sap our economic brand as a welcoming hub for startup activity. Better Boulder believes that the long term sustainability of Boulder depends on redevelopment opportunities that create more zones with the character of Pearl Street. Pearl Street will always own Boulder’s unique historic character and won’t, for the foreseeable future, have a rival in the retail and restaurant market that is attractive to tourists and local revelers, as well as startup businesses. However, through the creation of new walkable neighborhoods that include a mix of commercial office space, we begin to provide an attractive relief valve for startup and developing enterprises that want to tap into Boulder’s economic vibrancy. Further, a community isn’t vibrant without a mix of uses that includes commercial activity. 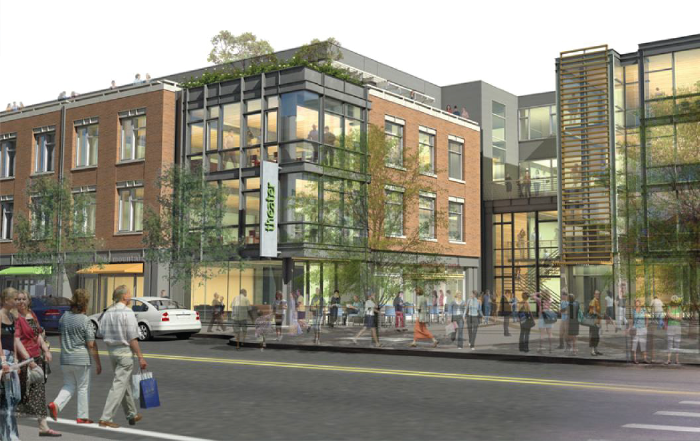 It’s the marriage of residential, retail and commercial uses that brings a community to life. It creates a dynamic melding of daytime and evening traffic, keeping spaces alive at all times and providing a much broader market for retail and restaurant activity to flourish.